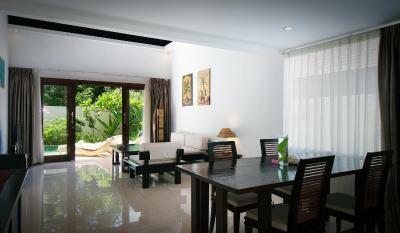 Lock in a great price for Kebun Villas & Resort – rated 8.3 by recent guests! 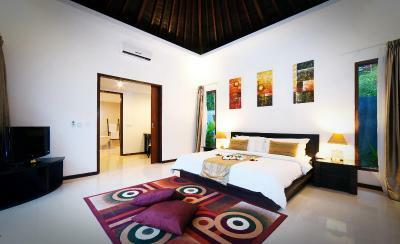 Room is spacious and cozy. Staff are friendly and helpful. 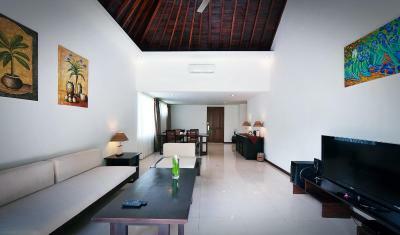 Location is very nice, few minutes walk to Senggigi Art Market and Senggigi Beach. 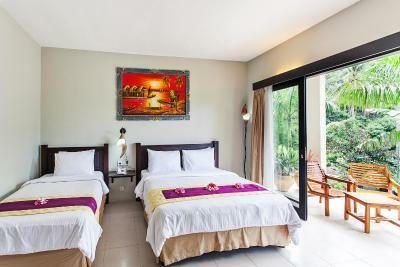 The rooms were large and comfortable for three people, if you had an upper room, nice breeze from the mountain. Good breakfast selection with fresh fruit. The pool was relaxing and the view was amazing. The staff were very friendly. It was in a good, quiet location. They staff were helpful for calling a taxi. The breakfast service was very fast and easy. 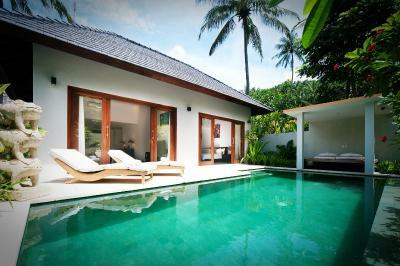 I am the owner of Deep House Bungalows on Gili Trawangan. 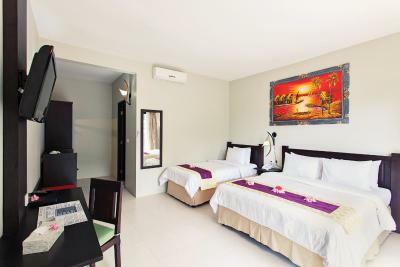 I like to come to Lombok to see what other accommodations are up to. 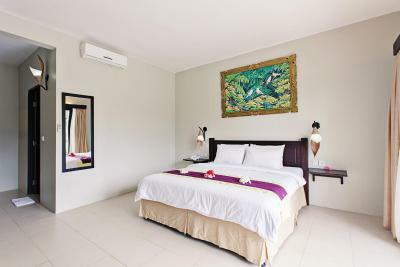 Kebun has beautiful rooms and pool. Great staff. Good food. Highly suggest it! 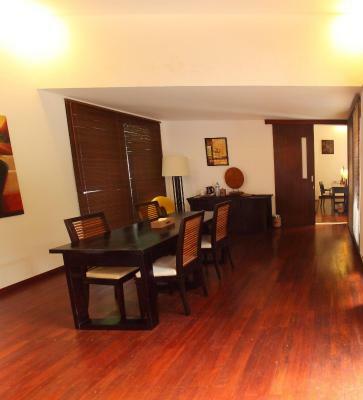 Beautiful property and is close to many cafes and restaurants. 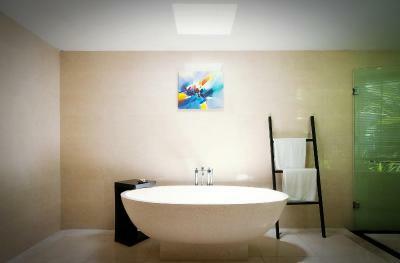 Bathroom in the room is spacious and well designed. High water pressure and hot water just comes out right away. 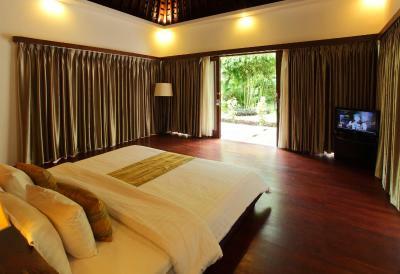 Bedroom was good. Nice view as we requested for pool view. 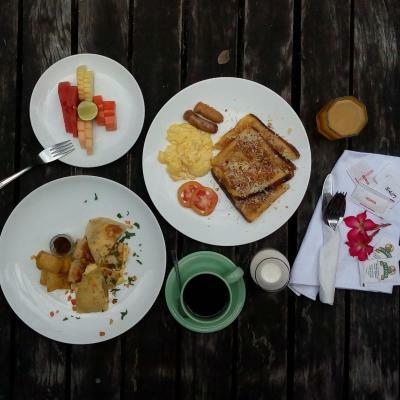 Breakfast is ala carte. Mini bar is FOC. They will top up everyday . Friendly staff! I LOVED KEBUN! 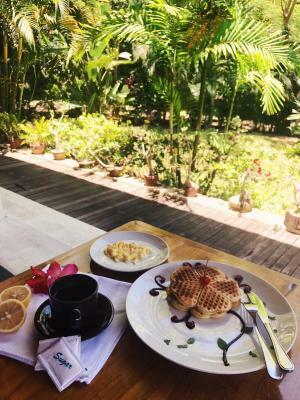 Everything from that staff, the breakfast options, the location, and THAT pool, I couldn't fault it! It was fantastic staying there and I will definitely be back! 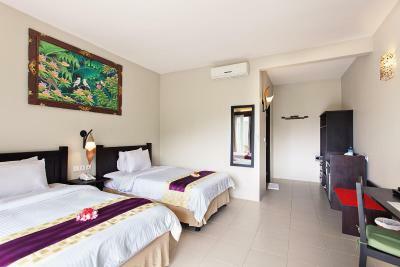 Kebun Villas & Resort This rating is a reflection of how the property compares to the industry standard when it comes to price, facilities and services available. It's based on a self-evaluation by the property. Use this rating to help choose your stay! 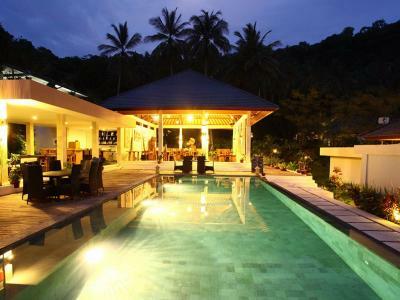 Relaxing stays await at Kebun Resort with luxurious villas featuring private pools and rooms with a shared infinity pool overlooking the surrounding greenery. 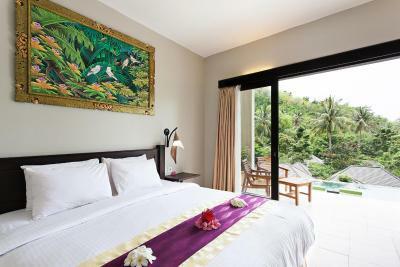 Perched on a cliff and set amid Lombok's natural landscapes, it offers a tropical oasis inspired by the concepts of natural living and luxury. 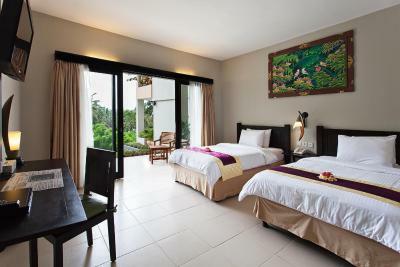 A 24-hour front desk, daily housekeeping and free WiFi access are available. 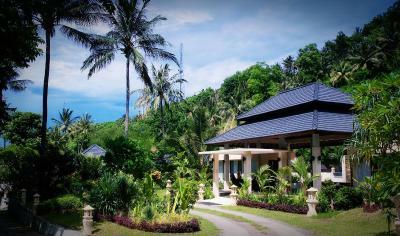 Located along Senggigi, Kebun Villas & Resort is a 2-minute walk from sandy white beaches and major eateries in Lombok. Free parking is provided. 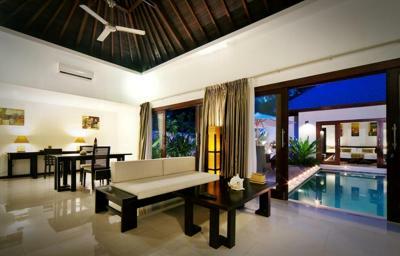 Offering modern Balinese-style furnishings, spacious villas feature a private sundeck and a home theater system with DVD player. In-room amenities include a fridge, bathrobes and slippers. 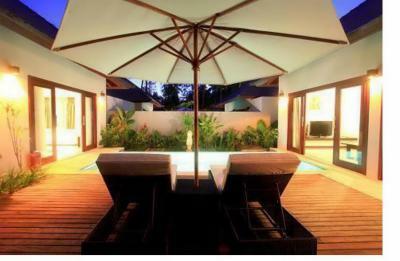 Leisurely afternoons can be spent on loungers by the outdoor pool or with a relaxing spa treatment in villas. Staff also provide laundry services. 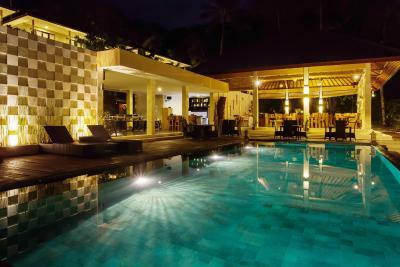 Guests can enjoy meals at the Kebun Restaurant or have a refreshing drink at the bar. 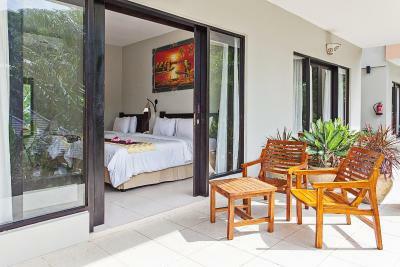 This is our guests' favorite part of Senggigi, according to independent reviews. 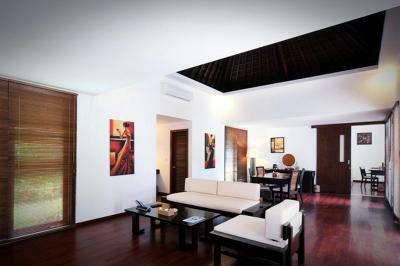 뀐 Located in the top-rated area in Senggigi, this property has an excellent location score of 8.2! 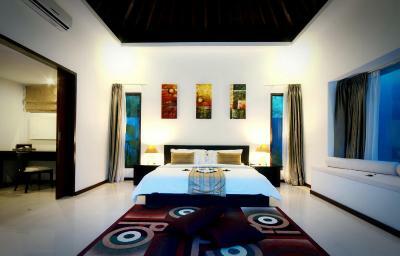 When would you like to stay at Kebun Villas & Resort? 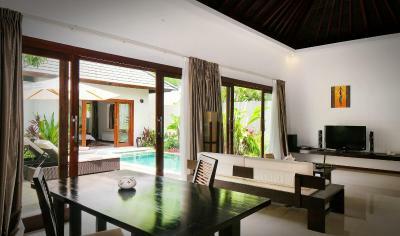 Offering a private pool, this air-conditioned villa is fitted with a separate seating area. 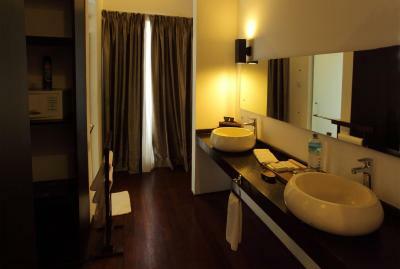 It has a personal safe, free mini-bar and a cable TV with CD/DVD player. Private bathroom provides slippers and free toiletries. 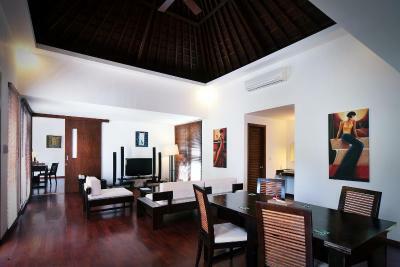 This air-conditioned room is fitted with a seating area, cable TV with CD/DVD player and a personal safe. A free mini-bar is also provided. 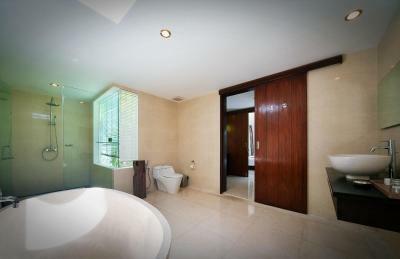 Private bathroom provides slippers and free toiletries. 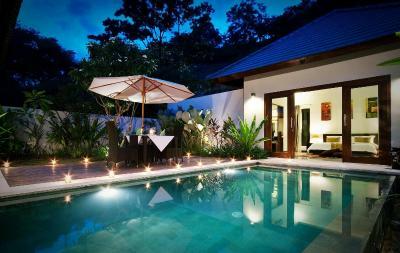 House Rules Kebun Villas & Resort takes special requests – add in the next step! 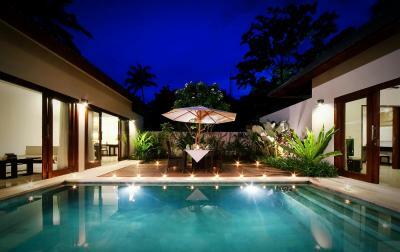 Kebun Villas &amp; Resort accepts these cards and reserves the right to temporarily hold an amount prior to arrival. 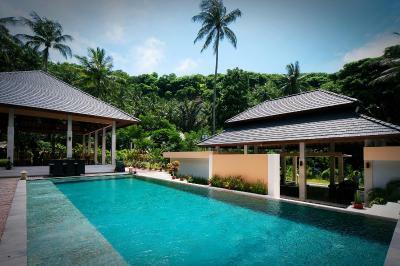 Kebun Villas & Resort accepts these cards and reserves the right to temporarily hold an amount prior to arrival. Very old fashion air condition. Literally it was so noisy that we couldnt sleep. Extremely overpriced loundry. Be careful It is real tourist trap. They do not charge you per kilo but per piece. It is unusual. Beautiful pool and view. Free minibar and good breakfest. Staff were friendly. The pool doesn’t feel like clean. The infinity pool of course. I book a driver when we was there, nothing much to discover along the way/nearby the hotel. The breakfast was OK. Fully recommended. 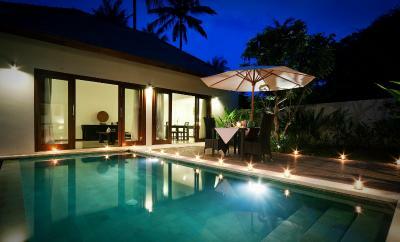 Pool area to villa could be a little more private. Unfortunately as you leave Kebun villas there are people on the street pestering you for taxi and tour etc. Sometimes they could be quite intimidating. Otherwise this place is perfect. 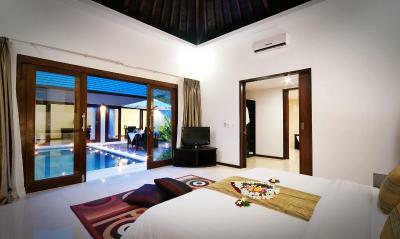 - Villa was beautiful - breakfast was fantastic, try pancakes and Eggs benedict. Portions were great. - Room service and good restaurant food. 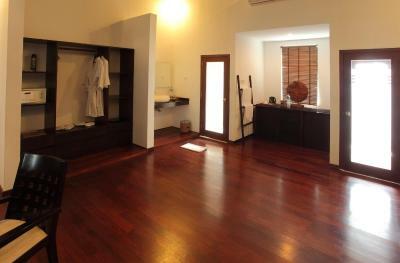 - Very clean (don't know why other reviews said it wasn't) - Business as usual following earth quake, no damage to hotel. 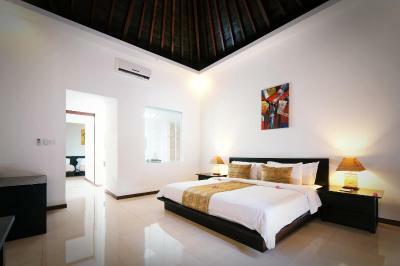 Senggigi is operating as normal and it still possible to do day trip into countryside. Breakfast coffe was cold and no Explanation how the service works .asked for extra pancakes got another plate with scramble eggs.next day ordered chicken wrap ,no scramble egg. Seem if they are not busy ,they do not care how they cook for couple people they have . The view was explicit! Staff super helpful and friendly. 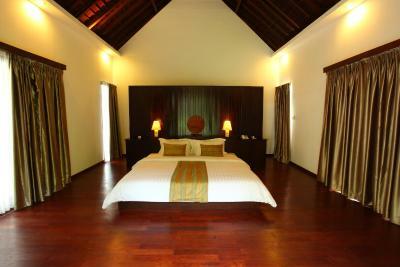 The room was very comfy and nice too! Incredibly dirty bathroom and pool, they clearly hadn't even attempted to clean the bathroom in quite some time, toilet leaked all over the floor too, stepping around toilet water and mould was a fun unexpected holiday activity. Friendly staff, helpful reception! 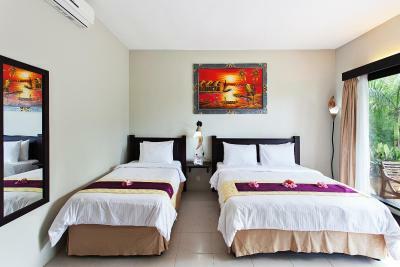 Clean rooms, nice pool,..
We got bed bugs. The staff were friendly but didn't know what they were doing. We asked about booking a tour to the Islands and even though they had it on their website, they told us they didn't do tours. The breakfast looked good but tasted bad. The hotel seemed eerily quiet and somewhat creepy.